"I would highly recommend Brian to anybody, he is not only a brilliant coach but a great guy and very easy to get along with. I had never had lessons before i went to Brian and was quite nervous about it but as soon as i met him and got to the table i felt right at ease. 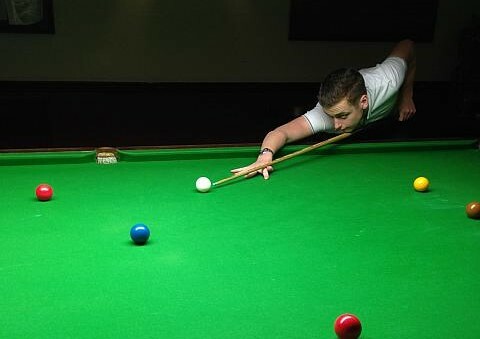 I have always enjoyed Snooker and played on and off for the last 8 years, but up until the last year or so i ended up spending most of my time on pool and picked up some bad habits along the way. But over just a few lessons we have pretty much rebuilt my cue action and it has improved my game massively in a short space of time. I am now feeling much more confident and the results are showing, i look forward to many more lessons in the future and i'm excited to see how much more my game improves. Cheers Brian!" "Brian is one of those unique coaches that can talk the talk and walk the walk, in other words when he teaches you a shot to demonstrate he executes the shot with extreme precision sometimes I wonder whether he uses his eyes. I worked with Brian over a number of months on a regular basis and we worked on all aspects of my game, I came from a club environment and considered myself to be an average club/social player, very quickly I was able to compete with much better players than before. Brian is extremely passionate about snooker. As a current competitive player he shares his knowledge with so much interest that many top players wouldn’t want us mere mortals to know these secrets to performing at much higher levels." "In just one day, Brian had changed my game dramatically. From a flimsy technique to now a solid cue action, my pot success rate rocketed and my confidence was bolstered! I now actually enjoy playing and practicing! 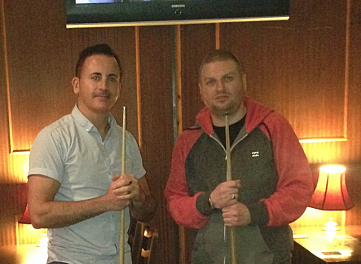 After my third lesson with Brian, I made my highest break of 37 so far on line up – and counting. One thing I like about Brian’s coaching is his patience with students. Even if you don’t get what he says to you the first time, he will happily explain positively until you do get it! 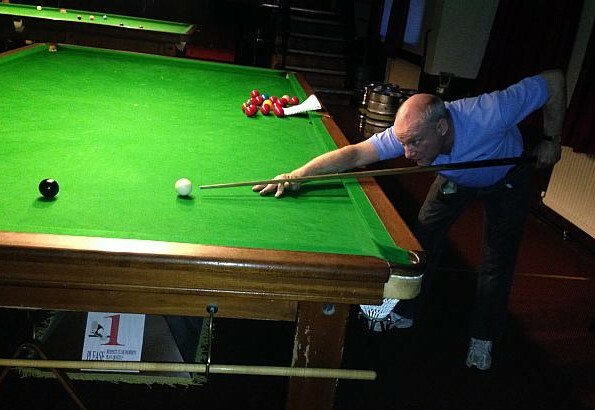 Brian is not just a top snooker coach who knows his stuff, he is also a fun character who enjoys helping you learn and have fun at the same time so you get the most out of your lessons! I can’t recommend him enough!" 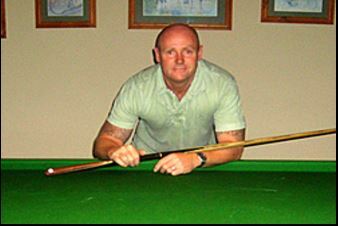 "I have been been playing snooker for 30 odd years, stuck playing the same old shots, not really getting any where. Brian runs over the basics, and then shows you loads of different shots which opens up your game, and increases break building. Brian has a excellent way with his coaching, he makes you feel at ease from day one, doesn't mind if you don't pick it up straight away, but perseveres until you do. My breaks have increased from the odd 30, to 40,s and 3 ,50+ this year. And obviously the better you play the more enjoyment you get from the game. 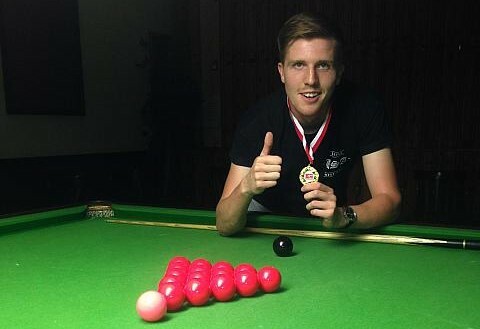 I also won a local competition against a very good player from behind and having to win the last two....using brians positive mind techniques to help me win , thanks mate!" 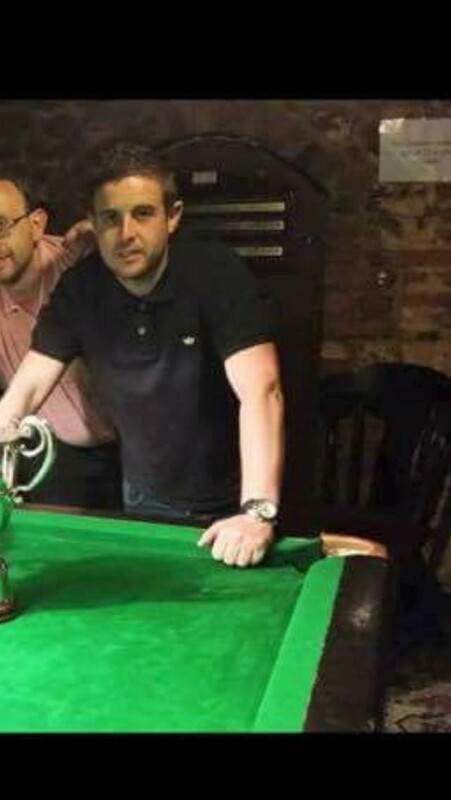 "Brian is a brilliant snooker coach and also one of the kindest people I have met and he will always try to help you out in every coaching lesson you have with him. 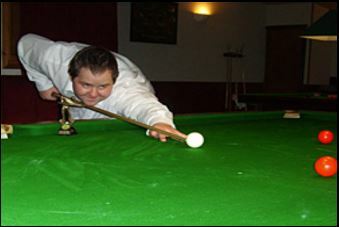 I started playing snooker when I was 5 years old making 15-20 breaks and since I started having lesson with Brian from when I was 17 year old I have gone from making 15-20 breaks to 60 and 70 breaks and also having my first 107 break in practice which was excellent. My game has improved so much in the year and half that he has been coaching me because at first I was really struggling with all my shot selections and my mind control, ball control and now everyday that I practice what Brian has been teaching me I get better and better at it so I can use it all when I play in tournaments which has work really well for me. I've enjoyed every lesson we have had so far and I trust Brian to keep improving my game. 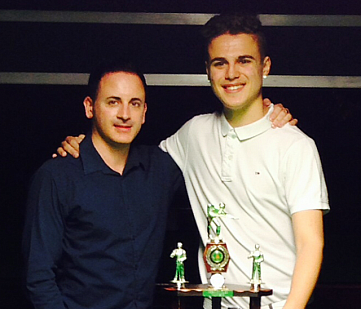 Thanks mate"
"Brian has been a big influence to help me progress to become the best player I can be. I have known Brian for 2 years now and I've seen my game change dramatically since I've had lessons with Brian. Since Brian has coached me I have won a few trophies and have achieved my highest break in a match which is 90 so it goes to show how much your game can change with Brian." 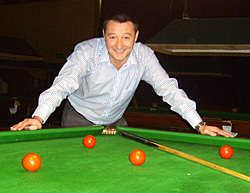 "I highly recommend Brian for any of your snooker coaching requirements. He has a lot of experience and understanding of the game and therefore can provide specific lessons and routines to a very high level which will provide a definite improvement to snooker players of all abilities. He is the coach you want to contact if you want to improve any aspect of your game whether that be technique, positioning, potting, preparation, grip, stance bridge and break building. The list is endless. Any area of the game he will be able to troubleshoot and improve. I have only been working with Brian for a small amount of time and when I started, I told him my aim is to be a better break builder. Within 3 lessons of working with Brian, he made me realise I have the ability to achieving the higher breaks through changes in my technique, approach to the table and providing challenging routines to develop the skills needed. On the 3rd lesson I had a century during a practice routine. This is proof of the quality of his coaching and how quick he can identify flaws and provide the correct solutions." "Brian is a great coach and has improved my game massively, I first joined Brian when I was 12 and my ability was as minimal as red and colour at line up. 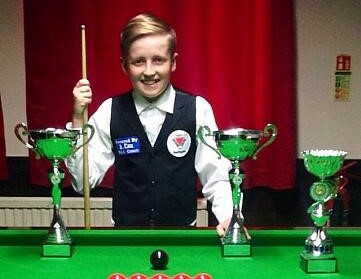 Winnings: After a while of seeing Brian for coaching, he told me to enter the junior snooker league that he ran on a Saturday in Huntingdon, I became the youngest player to ever win the league 3 years in a row. I have won the Cambridge league, St Neots league and the Wisbech league with my team mates. 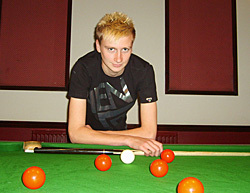 I am currently on the junior snooker tour which is under 20s and I am currently achieving quarter finals as my best. I got my first century break at the age of 15 which was 105 23rd of August 2015. I also now scored regular 50-70 breaks in and I have started getting 50 breaks in the league. Without Brian I wouldn't have achieved anything in snooker, during lessons with Brian we are serious but we also include enjoyable moments. Brian is a great coach and I would recommend him to any young player wanting to improve their game to the best standard they can possibly achieve." 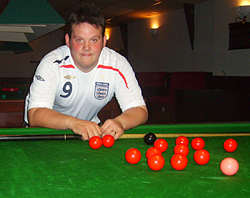 "I loved snooker , but due to a poor technique and having learning difficulties I was unable to even pot a ball over the pocket regularly and was miscueing a lot. I saw brian coaching at the 147 club In huntingdon and asked if I could get some coaching and then eventually join an in house league that he was running . 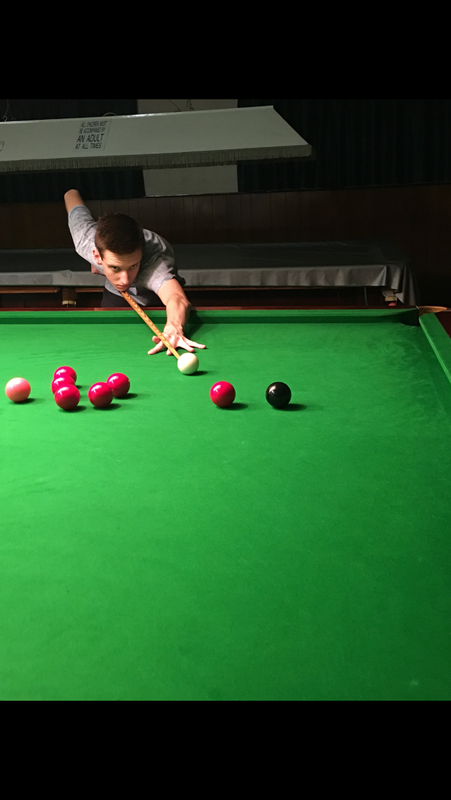 Within a few lessons I was potting the easier ones and stopped miscueing and learnt to play with the rest and off the cushion too as well as all the other shots that turn up in a game. 18 months down the line and I now pot 4 to 5 balls in a row and beat the mates that used to beat me easily and recently finished 4th in the league and won improvement awards. Brian is well mannered , patient and a great coach so don't be hesitant in contacting him if you want to improve! Brian said I have done brilliantly seeing as I have learning difficulties and find it hard to say and do the correct things he tells me at times. 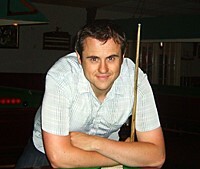 Thanks Brian"
"If you wanted to improve your snooker then I suggest you contact Brian. Brian is not only able to improve your technique but has a thorough understanding of the game which will take your game to another level. Brian identified flaws in my cuing action and delivery and set about improving them. It certainly was a case of going back to basics, but it's vital that one learns to walk before attempting to run. Over the course of the weeks Brian replaced my hit and miss cuing with a smoother more assured consistent technique. The result is , that both potting, position and safety improved significantly which led to greater confidence and more enjoyment in the game. That in itself does not guarentee success in matches, so Brian set about improving my shot selection and mental approach to go with my improved technique, match results soon improved. Brian is very approachable and easy going and presents his lessons in a calm, relaxed and friendly manner. He said every player has their own style of play and tries not to change their natural ways too much, just finely tune them. The lessons were always enjoyable but at the same time very constructive, and that's where Brian stands out from other coaches in my view, as he focuses on improving every single aspect of your game. Give Bri a call and set up a lesson - I am sure you won't regret it!" "Brian has been has teaching me for the past 3 years and every lesson has been just as fun and inspiring. Brian is so positive and enthusiastic about the game, and this has undoubtedly driven me to want to go the extra mile during each lesson. I have enjoyed the challenging drills Brian has set as practice, to continually help me to progress . Brian is so thorough in every aspect of making my own game the best it can be. Through personalising everything: from my grip on the cue, to my stance, the strategy of out witting my opponent and everything else in between. Not only is Brian such great coach he is an extremely nice person too. He is approachable, always has a smile on his face and on top of that - never fails to share a laugh and a joke too! I couldn't recommend Brian highly enough to anyone-whether they are an experienced player or a new comer - it has been worth every penny for me and I’m sure it will be for anyone else as well. Thank you Brian for everything." 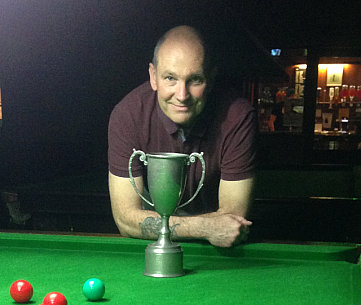 "I have never had coaching before and had always been a fairly able snooker player... When I first contacted Brian I was a bit sceptical about coaching but now I can't praise Brian highly enough! He has taught me the lower and slower technique which has transformed my long game and after one session I had upped my highest match break to 64! I have recently hit 102 in practice and am improving so quickly all thanks to Brian! His knowledge of the mental side is particularly astonishing and he has made a massive difference in my mental game! Can't thank you enough Brian! I look forward to continued success with you!" "Brian has really helped me progress my game into a standard which has made it very competitive and to a high value. Changing my mindset into match play which has resulted in me representing Norfolk County under 23s and winning numerous single comps and league matches. He has helped me and improved me knowing things I would never have thought of which has made me a player to be reckoned with in the league... Many thanks Brian." 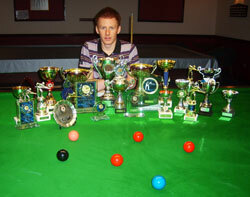 "I started playing aged 12, with a highest break of 38. Top pro Joe Perry advised me to see a coach then I found Brian. He improved everything, from the technique to every shot in the book and valuable practice routines and temperemant tips. Within 18 months I was hitting centuries and my knowledge of all the shots and how to win were down to Brian. 4 years later I was strong enough to go it alone and have since won countless titles inluding the Norfolk County junior and mens titles, and EASB Regional Junior Tour Events. I now compete on the EASB Pro Ticket Tour and Premier Junior Tour and hope to turn pro one day. I recommend anyone who loves the game and wants to learn and improve on every part, that Brian is one of the best around. He is a very nice guy, easy to get along with and always has time for people. He has always been there for me. Thanks mate.."
"Having lessons, my stance, cuing action and overall technique have improved my game greatly. Brian is a very good player and an even better coach." 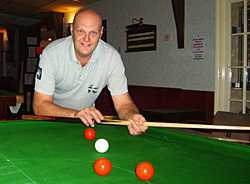 "Brian is a very relaxed and friendly snooker coach. Before I was coached by Brian I was just a potter who guessed position and did not have a safety game, whilst my approach, grip, cue action and strike were preventing me from progressing. Now after working with Brian my game has improved loads and my breaks are higher and I enjoy the game more. 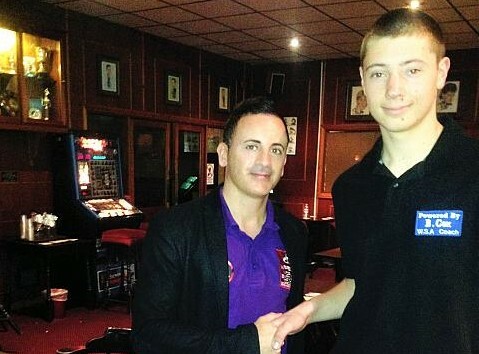 I now have won an under 18's snooker league, participated in the Kings Lynn league and have also won some pool comps. Brian knows his stuff and I am looking forward to learning more. Thanks Brian." "Brian is a great coach he has helped me a lot. I first saw Brian coaching someone else whilst i was practicing, the first thing i noticed is that he was very approachable, good listener and you can have a good conversation with him... On to the snooker. 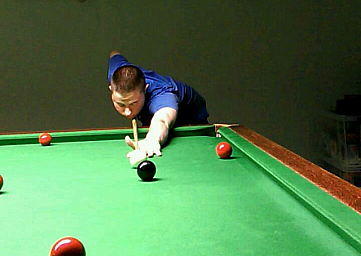 After taking a break from snooker for 2 years in that time i was making breaks of 40, 50 i came back and was struggling to make a 20. Through Brian's help in the first couple of months i saw a really good improvement to my game. This was through a new cue action and changing the way i approached the ball. Brian then began to make me into a more rounded match player by helping with my safety game and most importantly shot selection at the right time. I was now winning nearly all my matches and plenty of competitions. Now making regular 40,50 and 60's. The most important part of the game Brian helped me with though was the mental aspect of the game as i had a tendency to beat myself up over shots and let my head go down . Also my concentration would go and he helped me with a simple checklist which is now integrated into my brain. This information has helped me no end and i am now a very tough player to beat. With Brian's help i have achieved my highest match break of 135. 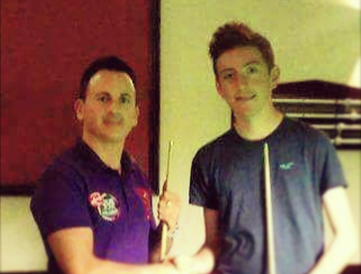 Thanks for all the help mate"
"I started playing snooker when I was 9 and started having lessons with Brian aged 10. Brian has improved my game and has been very calm and kind in the lessons when I make mistakes. Now aged 12, my recent success is that I won a Newmarket Handicap Tournament winning £100.00 and was the first english junior player to play in the 12's and under Dublin Star of the future tournament. Lately I have hit 3 x 100 breaks at line up - 100, 107 and 125 clearance, and am hitting regular 40s and 50s in matches. In November I will be playing in the Grantham league division one and am also playing for a Downham Market team in the league on Monday's, and am looking to compete in the EASB junior events this season"
"I have known Brian a number off years now I could not even screw back the white and could not even get a 20 break I have came along way since then having numerous 40-50 breaks and felt like I was going to get even bigger breaks ! But in recent times I had developed a "cue stutter" wich had abserloutley destroyed my confidence in my game for about 18 months ! So I got back in contact with Brian for some advice and as usual he was more than happy to help ! So I spent bit time with him and it has worked now feel like I'm getting back to how I was playing before and I'm back enjoying and loving the game ! I strongly reccomend Brian to anybody wanting to learn the game I for one would not hesitate to give him a ring again should I need any advice !! Thanks again Brian top bloke"
"I have been playing snooker for just over three years and been receiving coaching from Brian on and off for just over two years. 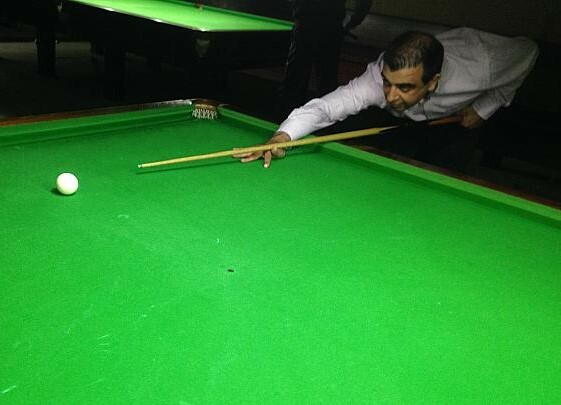 I enjoy watching snooker and play against my Dad s became obsessed with the game. Before meeting Brian my technique was limited and knowledge of the game was non existent, I was happy if I came away from the table having potted a red with one colour. in practice a 20 break at line up was a great achievement where as now I am disappointed if I don't make a 50. After coaching and a allot of practice I have achieved 100 breaks at line up. My highest break is now 73 in a match and last season (2015) my team won the league with me personally only losing one match all season. 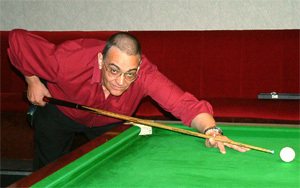 All this comes down to Brian, his vast knowledge and experience has fixed my technique and built up my armoury of shots. I go to the table with confidence and into my matches mentally prepared as Brian has given me lots of tips on positive thinking. Brian is a great guy who is always on the other end of the phone and is very understanding of the struggles a player goes through. Unfortunately I don't posses the natural talent of some but I a confident with hard practice and coaching I will one day achieve a century break in a match." "I was recommended to be coached by Brian by the barman of the club who said he would have the patience to put up with me (smile)! 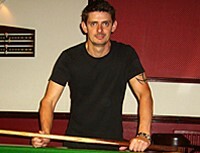 Over the past 2 years I have been coached by Brian on average once every 6 weeks, and over that time I have learnt how to cue straight using a number of techniques such as, approach, grip, bridge, stance, cue action and follow through on delivery. This has made me a competitive player in the Boston League and led to me being runner up in the final of the Boston's Mens Own Competition and to consistently make breaks around the 30 to 40 mark in matches and 50s in practice. I am improving all the time so I would like to say thank you to Brian and would recommend him." "Brian is a first class coach and a great teacher. He can get ideas and techniques over a way that gives you confidence in your own ability. He is very patient and makes sure you understand a particular point or subject before moving on. 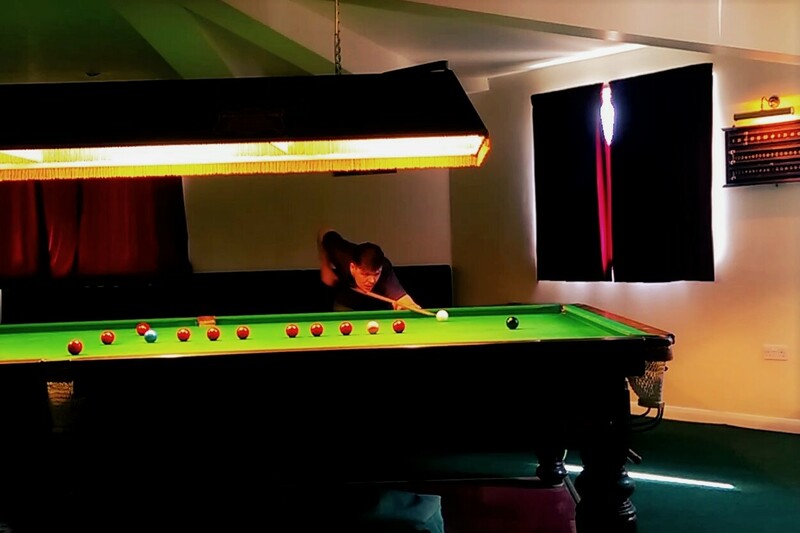 As for my game, well, from the first meeting he has helped to demystify the game, right through from holding the cue and standing correctly, through to complexities such as side. Brian keeps a close eye on thought patterns, planning, potting, line work, break building, white ball control, position, shot selection, in fact every aspect of the game - and all at my own pace. This has helped my game improve enormously and also made the game more interesting, enjoyable and challenging. I no longer just take a pot on and rely on luck, but have a plan from the outset. To sum up, in my opinion any time and money spent on lessons with Brian will be time and money well spent." "Brian is a patient and calm coach and I feel relaxed in his company and can ask him anything to do with the game. Over the last few years my game has improved to a regular 40 to 50 breaks which I am pleased with, having started from scratch with Brian. I have been in a team which were runners up in the super league and have won a team KO competition with that team also. I recommend him. Thanks Brian." "I had no real game-play or technical skills having played consistently badly, (now I know the difference! ), for 15 years prior to meeting Brian. Although it's been tough trying to remove all the in-built bad habits, they have pretty much all gone now, and my overall skills and abilities have improved considerably. I'm looking forward to progressing even further with Brian's coaching, and to really improving my abilities and standard of gameplay. So a big thank you Brian - I couldn't have done it without you! I'm now really looking forward to the future." "I have been having lessons with Brian for 18 months or so and can say, without any shadow of a doubt, that my game has improved greatly since I started receiving coaching. Before lessons, I had a high break of 31, which was a complete one off, and couldn’t get close to it (my average break being below 10!) Now I regularly knock in breaks between 20-40, my highest being a break of 50. The technical insight and strategic prowess that Brian has developed and taught, has made me the player I am now. 18 months down the line I am still learning and enjoying the game even more as a result. 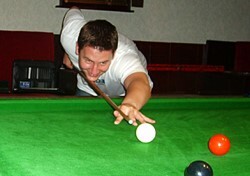 His coaching methods make playing the particular shots easy to understand and manageable, whilst still maintaining a relaxed, calm atmosphere around the table. Overall, Brian has made my shot selection better, my technique reliable and consistent, my scores higher, my breaks bigger, and has become a great friend over the weeks and months that he has taught me." "Brian is a brilliant coach who has improved my game so much, we work hard on my game but also have fun too. 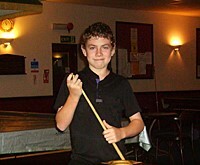 I have just turned 12 and since having lessons with Brian I have achieved these things: Aged 9 - I won a Boston Junior snooker league, and reached the semi final of a Boston adult event; Aged 10 - I reached the last 16 of British under 14s and won the Prospect Award in the Star of The Future under 12s comp in Wales. 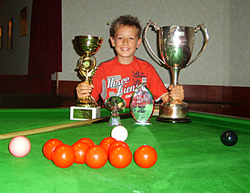 Aged 11 - I was runner up in the final of Boston and District under 20 comp, reached the semi final of the Star of The Future under 12's comp in Wales, potted my first hundred break at line up on my own in practice, and won the Boston and District Super League team title with my coach Brian and 2 other players. I enjoy lessons and playing in competitons and I trust Brian to keep improving my game. Thanks Bri!" 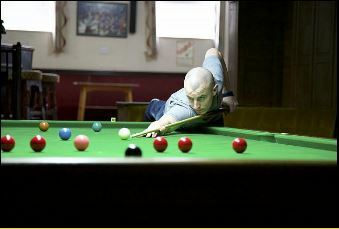 "I had been playing Snooker for Ten years and I was classed as a good club player. I was making regular breaks of between 20 to 40 my highest being 48 in competitive play. Now, since having tuition off Brian, I make regular 40 to 60 breaks and my highest competitive being 80. I have also come close to beating this since, and my highest break now is 111 in practise. I never dreamt I could be capable of such a break, but Brian knew I had the ability from day 1 of us meeting, so in my eyes the best thing I ever did was seek Brian's professional advice. Anyone is welcome to contact me for any other questions Simonrx7turbo at aol.com"
"In the 3 months I have been having lessons with Brian, it is amazing the improvements he has made to my game. My approach, grip and cue action, stance, pots and shot power for position have all improved. I find him pleasant and easy to get on with and to understand, anyone wanting to improve their game would benefit from his tuition." "Brian is one of the kindest people you can meet. He will always try and help you if he can ,even if he is not coaching you. He is one of my best friends as well as my coach and team mate. I started playing snooker at 13 and since meeting up with Brian he has helped me go from a 20 break player to a hundred break player. After going down some rough roads my best achievement so far was to make a 107 break against Brian my coach. 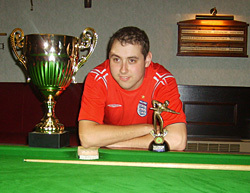 I also have won local titles in Boston such as the Leagill Trophy twice, the under 20s and the Jubilee Shield, and was also part of the winning 3 man team at the Golden Cue National Pool Championships. Brian is a patient, understanding and very knowledgeable coach who has helped me with my technique, temperament and all round shots. I was honoured when he asked me to be part of his league team because it meant he respected me as a player and thought I was good enough. We won the league title so I was really happy. Thanks for everything Brian"